an appointment via our website ​or by request at the time of your appointment. Can't wait? We get it. Shop our favorite sunless essentials. As seen in Vogue, Glamour & New Beauty, this award-winning exfoliator has become Hollywood's red carpet secret to glowing skin. 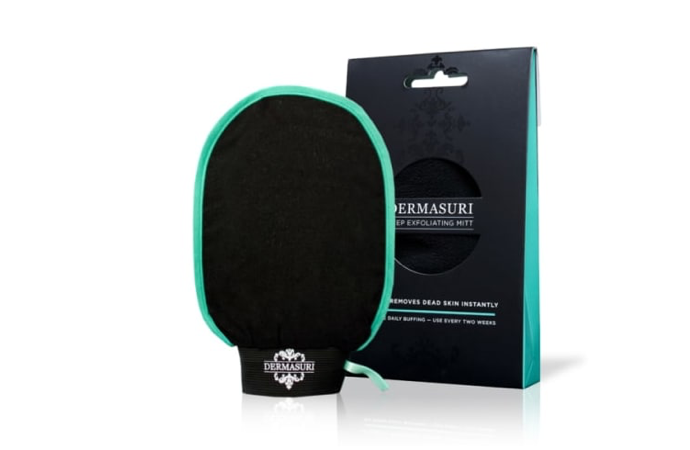 Made with a unique fabric texture, the mitt visibly removes dead skin instantly making the skin's surface perfect for a long-lasting, even tan. The mitt catches and sloughs off dead cells which appear like small dark rolls and simply rolls it off your skin. You have all the benefits of a body treatment scrub of a spa in the privacy of your own shower. Unlike loofahs or bath sponges, the mitt is made of material that removes surface layers of buildup and dead skin cells instantly using the mitt and water only no chemicals. Kalastyle™ is proud to be importing pure, hand-harvested Volcanic Ash from Iceland's geothermal lava fields and combining it with our custom, sustainable, Rainforest Alliance Certified™ soap base made domestically in the USA. Icelandic Volcanic Ash, known as "Mother Nature's skin purifier", is rich in minerals and antibacterial sulphur which helps slow down the aging process by stimulating collagen production. Used as a skincare remedy for centuries, the ash in the soap is active and provides a mild, natural exfoliation while absorbing toxins for the ultimate clean. H-e-l-l-o great skin! Hello Soap! Key Ingredients: Sustainable palm and coconut oils, charcoal, volcanic sand, volcanic ash, volcanic soil. Icelandic Sea Kelp (Laminaria Hyperborea) is a type of seaweed that grows in the pure, unpolluted, nutrient-rich seawaters of Iceland. Kelps are known for their efficient ability to absorb high amounts of minerals from the sea, and naturally help nurture skin's complexion by retaining precious moisture. Hallo Sapa™ Kelp Soap is formulated with wild, hand-harvested Icelandic Sea Kelp, soothing Litsea Fruit Oil, and our sustainable soap base. Perfect for all skin types, and those seeking hydrated, balanced skin. Superior hydrating facial quality cream is perfect to combat the dry skin and for reducing fine lines and wrinkles. 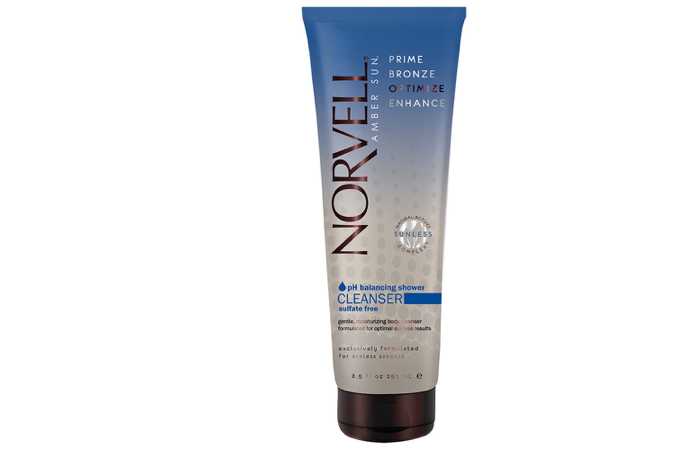 Eliminates dry, itchy skin resulting from an active lifestyle, UV or sunless tanning. Highly saturated with vitamins and humectants. Anti-aging & skin firming. An exotic bronze with more benefits than ever before! 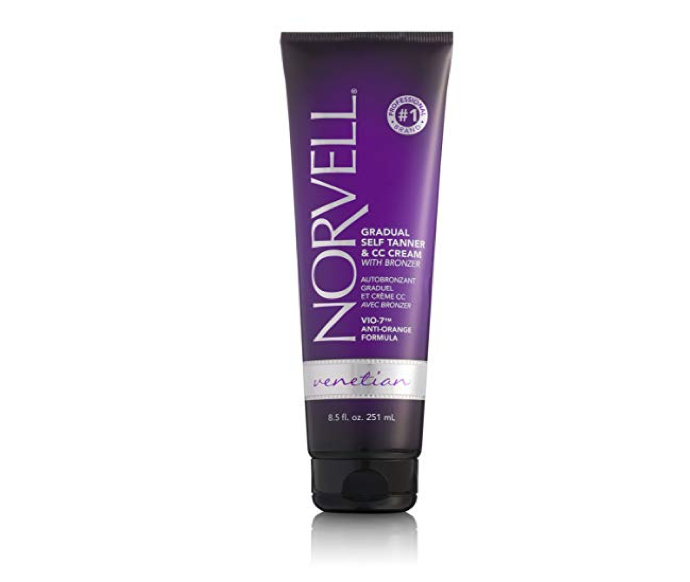 This daily lotion showcases Norvell’s award winning bronze and violet tones, along with the skincare benefits of a CC cream. This multipurpose lotion is created with VIO-7, a unique blend of anti-orange bronzer pigments, designed to counter an unwanted orange undertone for a natural-looking tan.Created to build a gradual tan, Venetian Gradual Self-Tanner offers instant illumination and CC cream benefits to help moisturize, brighten and firm. Immediate color in a streak-free formula. An exotic sunless formula with a unique combination of violet and brown tone bronzers, designed to mimic the sought-after skin tones indicative of the Mediterranean region. Natural Enzymes repair dehydrated skin. 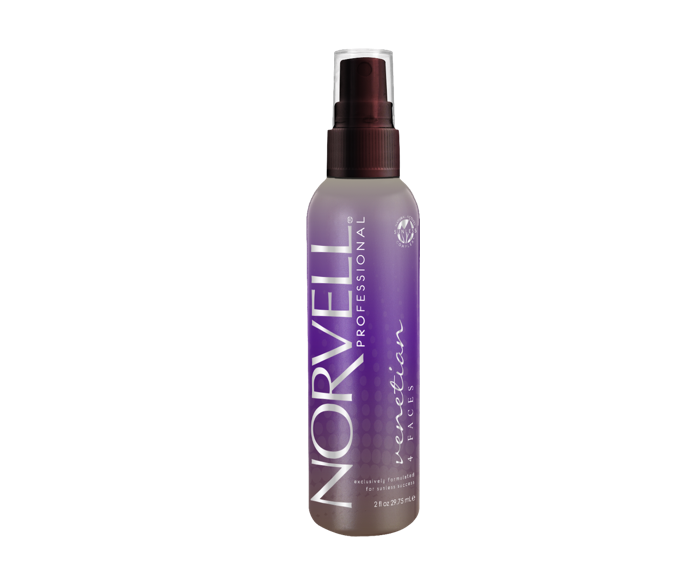 Paraben Free, Gluten Free, 100% Vegan. This lightweight broad spectrum SPF 30 provides the ultimate skin protection against harmful UVA/UVB rays while restoring radiant, healthy, youthful looking skin. Free from harsh chemicals such as alcohol and oxybenzone, it's effectively safe for all skin types and won't interfere with your spray tan. Scented with soothing fresh cucumber fragrance, it's ideal for everyday use. Paraben Free, Oxybenzone Free, Alcohol and Oil Free.